The 10.2 Gravity Dry from Mammut is a treated single rope with a diameter of 10.2 mm and a sheath proportion of 42%. In other words, this rope is strong and has a long lifespan, which is also evident from the high number of UIAA falls at 11-12. Since both the core and the sheath are treated, the rope absorbs 1.5% of its own weight in water according to the UIAA Dry Test. Thus, the rope is ideally suited for alpine adventures where a durable sheath and water resistance are of incredible importance. Be it rain, snow or ice, mixed terrain, ice climbing, ski tours or glacier crossings, the 10.2. Gravity Dry will feel right at home wherever you take it. The extremely water-resistant 10.2. 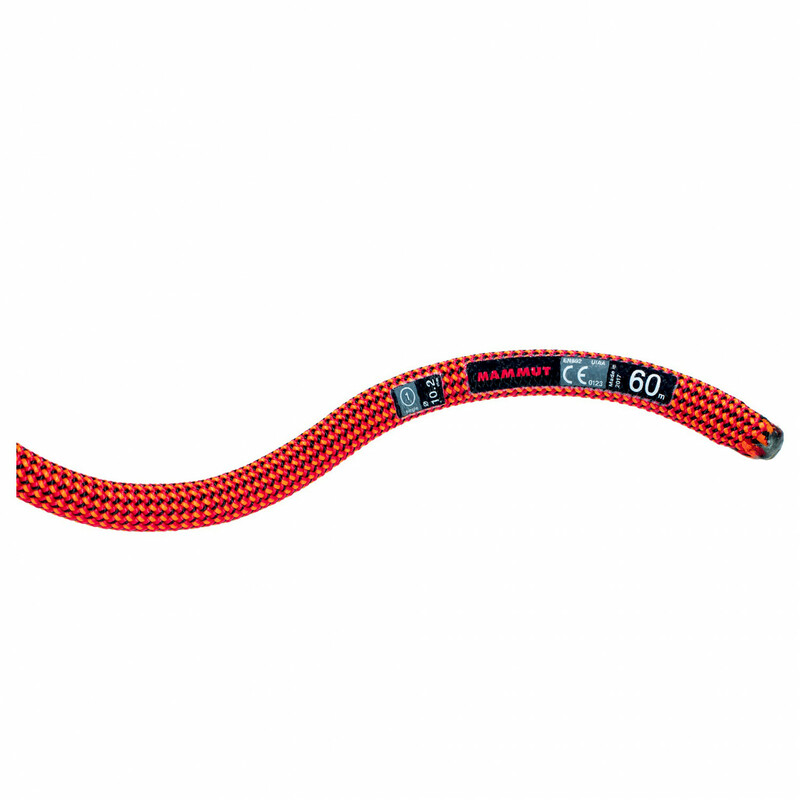 Gravity Dry single rope from Mammut is particularly well suited for high-altitude mountaineering and climbing trips with long glacier approaches. After all, what would be a better stress test for a rope? Glacier ice contains small particles of quartz and other minerals that can really take a toll on your rope when it's being dragged over the surface for hours on end.